Live from Swaziland ... it's Saturday morning! : I see you. One of the things I love the most about Swazi culture and language is the greeting “Sawubona” (sa-woo-bone-ah). It simply means, “I see you”. The appropriate response is “Yebo” (yeah-bow), which means, “yes”, as an agreement that you have been seen. They are three simple words that perfectly acknowledge someone’s very existence - I SEE YOU. In today’s busy world where so little of our time is spent relationally, I think truly being “seen” by someone is profound. Our home for abandoned babies is called the “El Roi Baby Home” and “El Roi” (El–row-ee) is the Hebrew name for the “God who sees”. That name is found in the story of Hagar in Genesis 16 (it’s a great story – check it out for yourself). 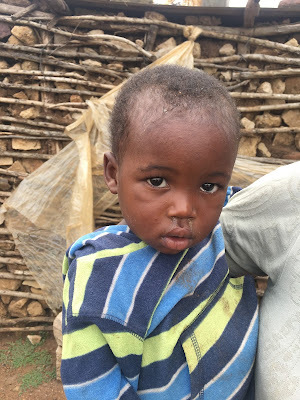 We chose it as the name for the baby home because it is the GOD WHO SEES the baby in the pit latrine who rescues the baby and it is the GOD WHO SEES who saves a child from being eaten by river crabs. I often receive angry comments on social media where my readers are angry at the mother for dumping a baby or leaving a child on the side of the road or in a bus stop, but I find myself quick to defend those young mothers because I can only begin to imagine the level of hopelessness a mother must in to do such a thing to an innocent child. I am quickly reminded that the GOD WHO SEES and saves those babies, also sees and wants to save the young mothers. 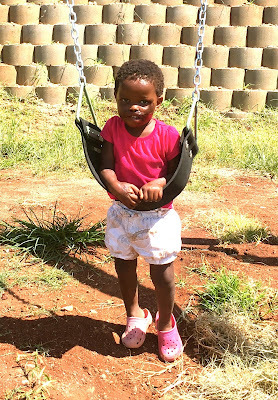 Baby Shirley’s mother is still in prison awaiting trial after dumping her newborn baby in a pit latrine and then dumping burning coals in on top of her to make sure she was dead. (http://janinemaxwell.blogspot.tw/2014/10/do-we-have-to-say-no-to-more-babies.html) . Shirley’s mother calls me every few weeks from prison to check in and see how Shirley is doing, see how I am doing and asks about the other babies. I feel such empathy for this young woman who is living with guilt that is seemingly endless. But El Roi sees her too and I pray that her mind and heart will also be healed one day, just as little Shirley has been healed. 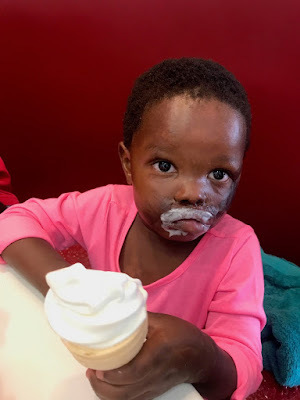 Shirley enjoying KFC ice cream - a "right of passage" when each child moves up to Emseni. This week it was the El Roi who saw a young 18-month-old baby girl locked up alone night after night by her prostitute mother. The baby would cry so long and so hard that the neighbors finally couldn’t stand it anymore and called the police. 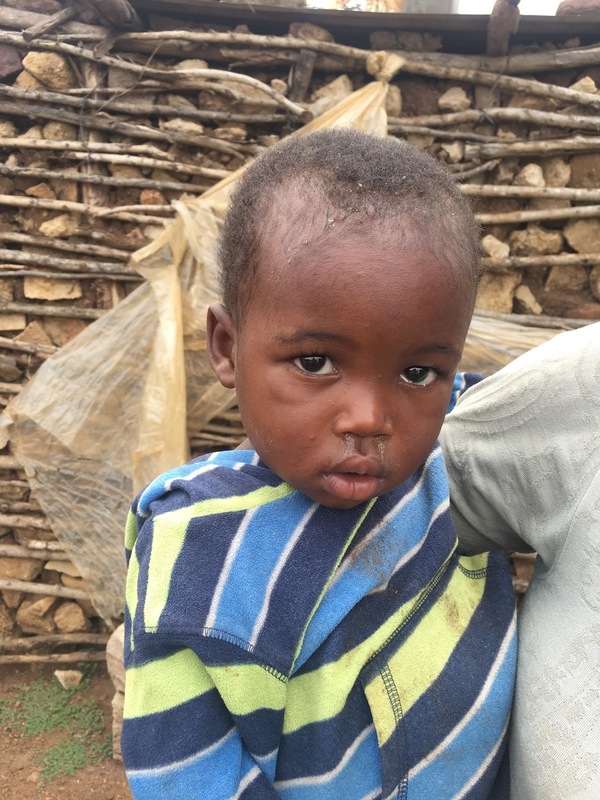 The police arrived at the broken down stick and mud hut and found the baby inside, eating her own feces. We were called and that baby is now at the El Roi Bay home – HE saw her, WE see her, and her future is filled with hope and love. I often wonder how many people really believe that God sees them? Would we behave differently if we thought that God was watching us all the time? Not in a critical way to catch us doing something bad, but in the way that a loving parent might watch their children play out in the back yard through the kitchen window, smiling with joy and pride. That might be something for you to ponder this week. Live from Swaziland … it’s nice to be seen by The One who sees all. Labels: El Roi, The God who sees. A baby with a HIV viral load of 10 million?